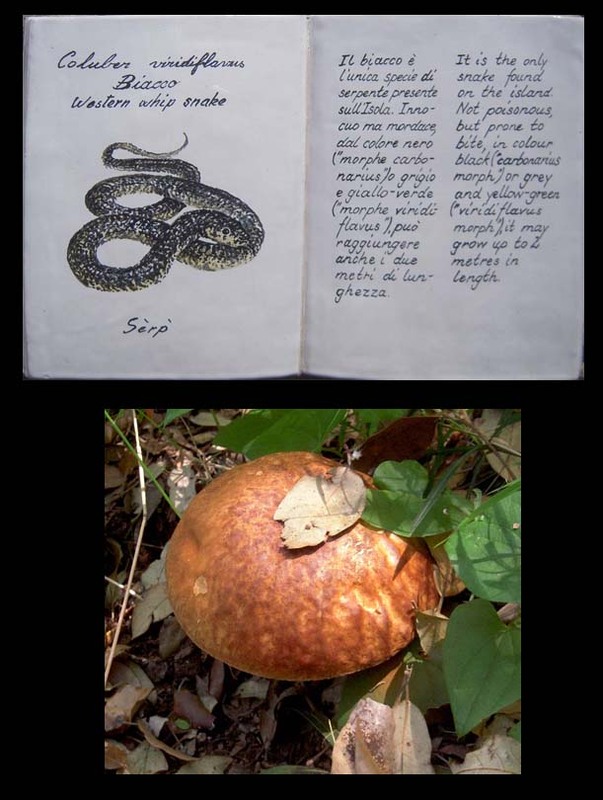 We always bring a book with us called “Guida ai sentieri ed ai percorsi naturalistici di Capri ed Anacapri” when we travel to Capri. 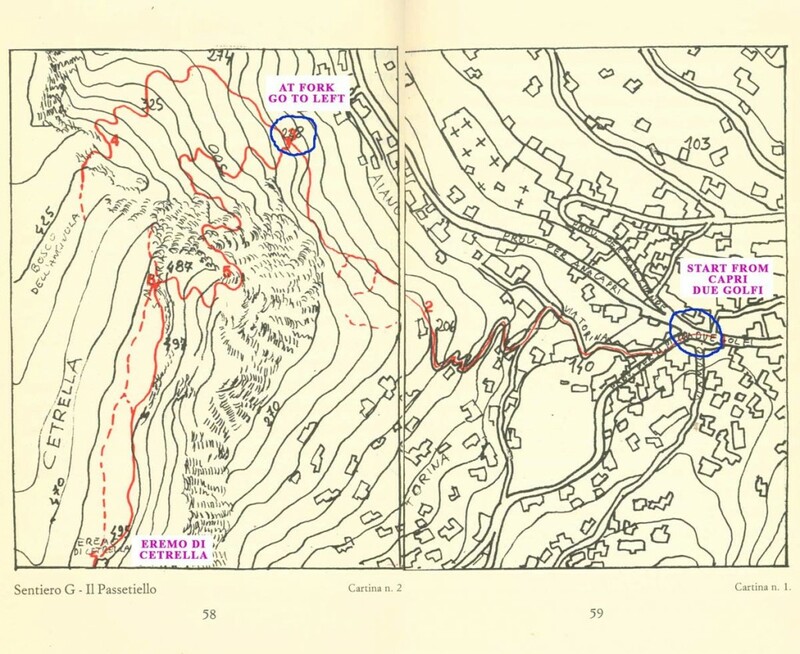 It’s a sort of bible of Capri’s most hidden paths where even the forgotten and no longer usable ones are described. Guida ai sentieri di Capri. A hike we really love is the “Sentiero del Passetiello”. Together with the 881 steps of the Phoenician Stairs, this was the only connection between the towns of Capri and Anacapri until the second half of the 19th century. 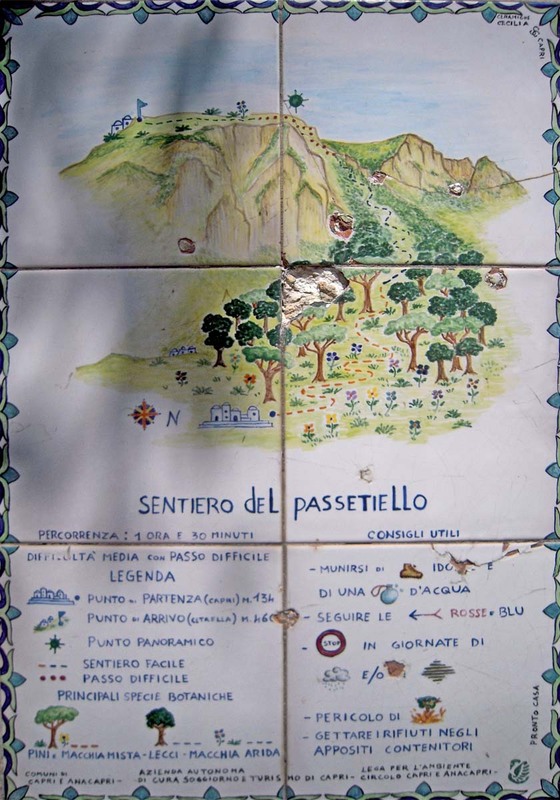 The Passetiello Path only takes about three hours to walk and is definitely among the most suggestive paths, not only because it is immersed in mediterranean bush, but also for the variety of the landscape and sceneries that you encounter. 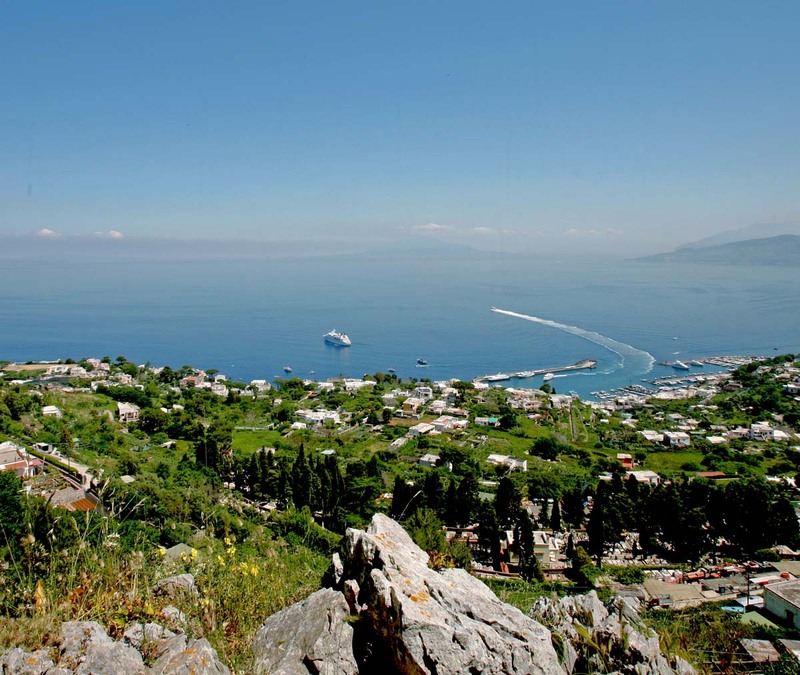 Along the way, you will have to climb a high rock face, along the rocky coast, until you reach the territory of Anacapri, in the Cetrella valley; from there you can enjoy the magnificent views of the Faraglioni and Marina Piccola. Be sure to wear proper shoes with good grip and preferably not shorts as the overgrown vegetation could be scratchy. To tackle the walk in adverse weather condition or after a heavy rain can be dangerous, so don’t do it. Also, the walk is not recommended for people who suffer from vertigo, or has problems with heights, or haven’t a good balance. Bring, specially in summer, a bottle of water and, of course, don’t forget your camera! You will experience both naturalistic and panoramic views. 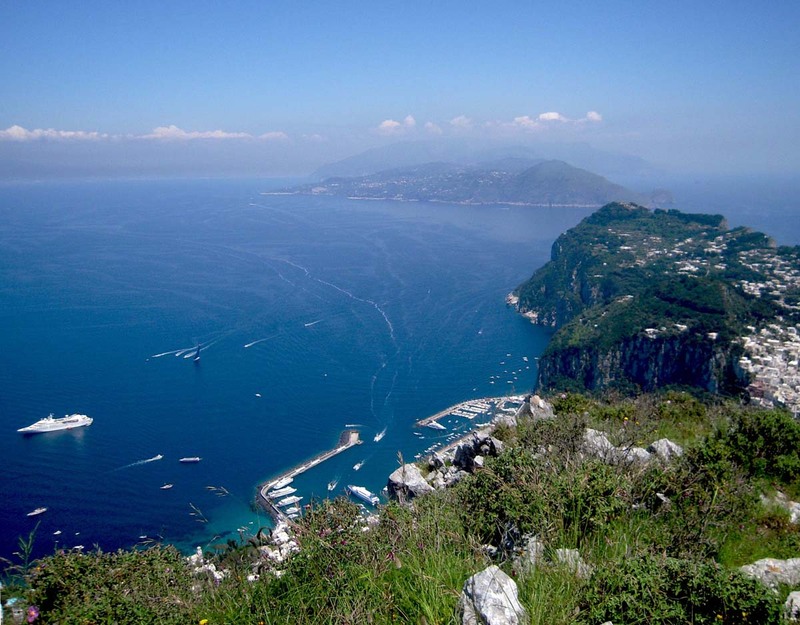 The walk starts from Due Golfi (just a short walking distance from the center of Capri) which, as the name suggests, looks at the sea on both sides of Capri. Turn down towards Marina Piccola on the main road and, just after the entrance of the Hospital, take the pedestrian alley on your right. 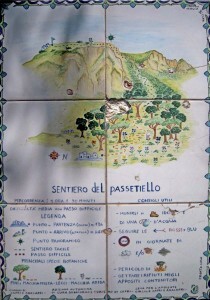 Walk along the old mule track (via Torina), the ancient connection road between Capri and Anacapri, and pass trough houses and gardens following signs at each fork. Continue along via Torina, which starts to climb with an alternation of blacktop and steps. Take care to follow the signs in red paint on trees and rocks! 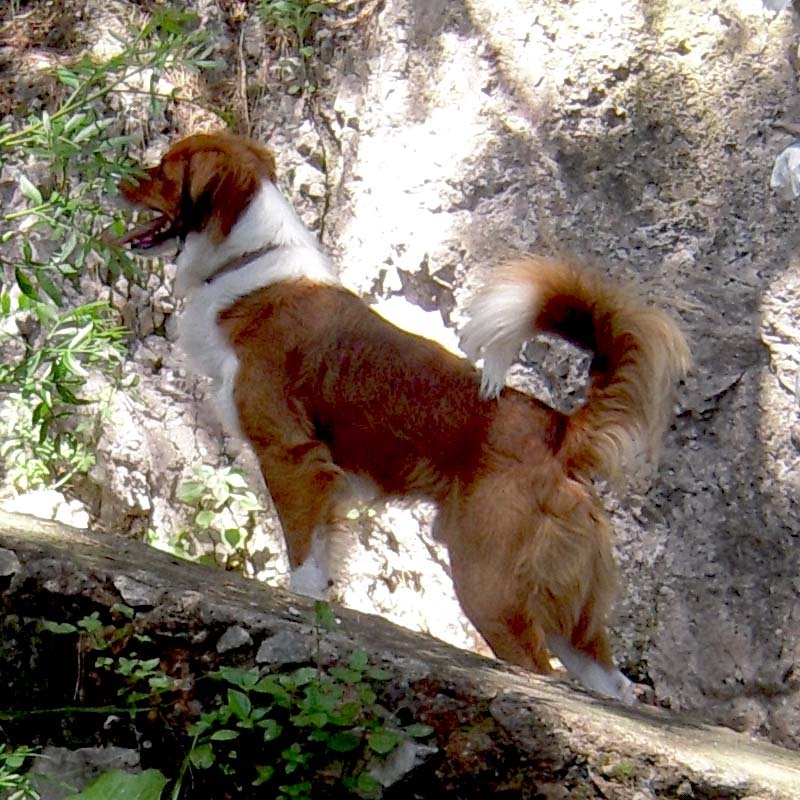 It may happen that a dog (we named this one PasseCane) follows you on the way up. He probably knows the track better than you, so don’t worry for him! Depending on the season, you will be will surrounded by flowers and by the perfume of the Mediterranean scrub. The variety of landscapes and changing combination of three main colors (the green of the vegetation, the white of the limestone rocks and the deep blue of the sea) is stunning. And the view begins a few meter after the start of the track! I am attaching a detailed map over the path taken from the book written by Nabil Pulita and Riccardo Esposito (click to enlarge), but it is really hard to get lost even if you don’t have a map. 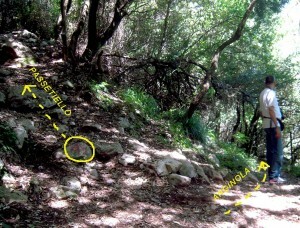 After a while the track becomes a mountain path, walk ahead and follow the red marks painted on the stones and the signs. Do not turn into the paths on the left, they do not lead anywhere. The view and the vegetation make an extraordinary spectacle. Up here, the vegetation is a mixture of alpine woodland and mediterranean scrub with clumps of arbustus and broom growing in the midst of thick ilex, ferns, chestnut trees and oak. 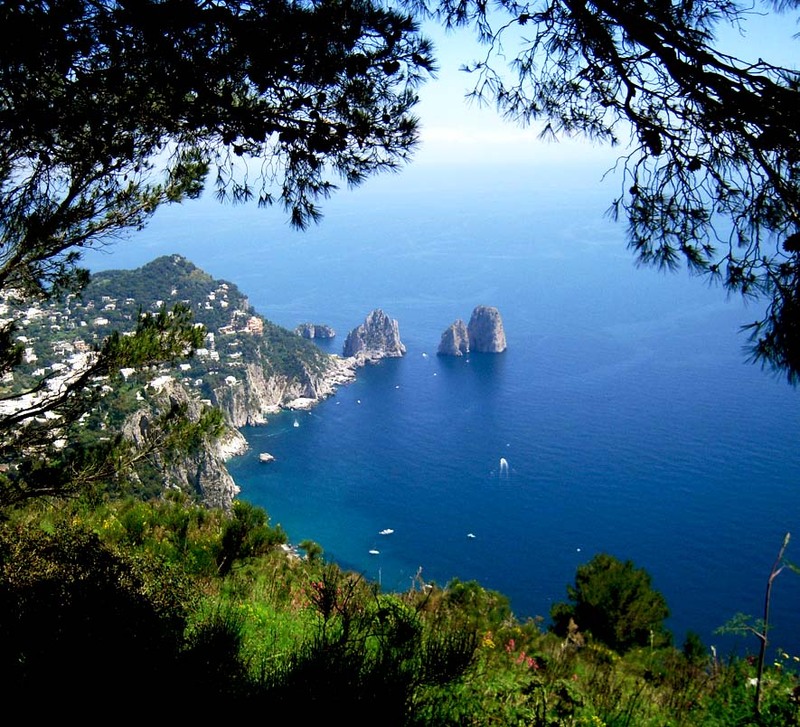 The trail becomes more and more narrow, with dense vegetation on one side and the view overlooking the houses of Capri and the harbor of Marina Grande on the other. Continue along the path until you find on your right a net (fence) and a house on the left. Follow the net and then walk through the wood. Make sure to note the ilex wood along the first part of the path, this is only one of three ilex woods still remaining on the island. At the fork a little farther on, be careful not to take the wider and more inviting trail in front with the rusty fence (so don’t go where my husband is on the picture here!) because going this way you will reach the Anginola pass, a very steep stretch with a rocky drop-off where chains and steel cables helps to go from ledge to ledge. Turn instead left (always following the red, somewhat faded signs) along the uphill path that becomes increasingly narrow, difficult and overgrown with plants. 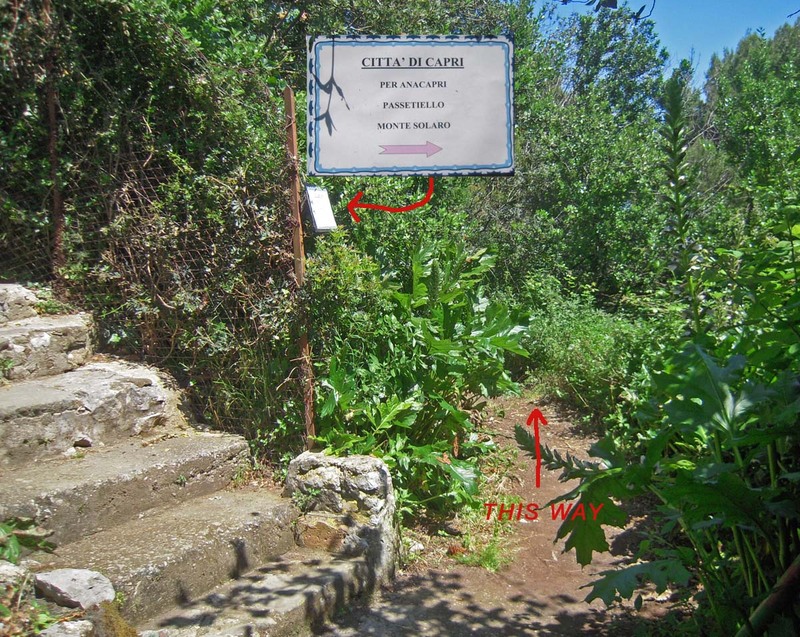 On reaching the pass, you’ll find two signs, the path for Capri on one side and the continuation of the Passetiello on the other. It is likely that you meet some wild animals during the trip. We went in spring season and I had a “face to face” with a western whip snake (Hierophis viridiflavus), a non-venomous species in the black variant called ‘Biacco’. I didn’t take a picture of the snake. I do not feel at ease with snakes (I don’t know who is most afraid, the snakes or me) so you have to settle for this picture on ceramic tile situated on the “Sentiero dei fortini”. Anyhow, close to the snake on the path we found also this Boletus, not so bad, eh? And take note of the flora with different species growing on the rocks……. 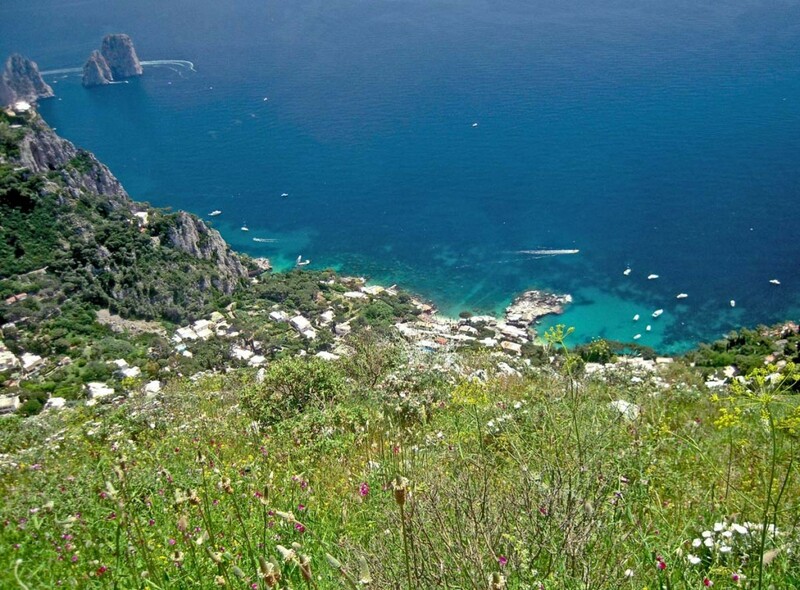 Finally you reach the Passetiello where, after climbing up to the rock, you’ll find an astounding natural vantage point encompassing nearly all the island with a stunning scenery of the Faraglioni and Marina Piccola. Marina Grande lies to one side with the ruins of Villa Jovis above, the white walls of the town of Capri Monte Tuoro in front, and Marina Piccola and the Faraglioni on the other. If you are lucky enough to be there in May, the broom is a dazzling yellow. Take a moment to rest and imprint this unique view on your memory! It will last forever! Now, still following the red signs, turn slightly left and a walk over level ground will take you finally to the Hermitage of Santa Maria a Cetrella. 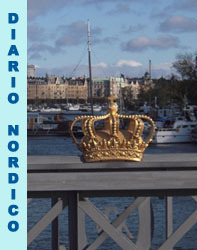 We hope you’ll enjoy this great trip, be sure to leave us a comment if you do! 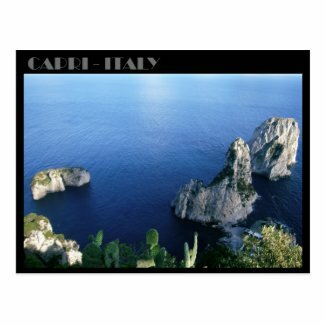 … and if you’re happy with your trip and would like to have a special souvenir please check my Hidden Capri shop online with lots of beautiful postcards, calendars, mugs and Capri gadgets! Wow !!! a sentimental, photographic and botanical journey in one of my favorite italian islands !!!! I’m the first reader to leave a reply and I’m so proud !!! We are avid walkers and have been to Capri many times. We took this trail today and although as you say the views are spectacular, parts of this trail are extremely remote and frankly quite dangerous. We felt as though we were rock climbing without the benefit of any ropes for a stretch of the trail. Also, do not take this trail alone as the risk of slipping on the steep rock face could lead to serious injury. I cannot stress strongly enough not to attempt this trail if you suffer from vertigo or fear of heights. 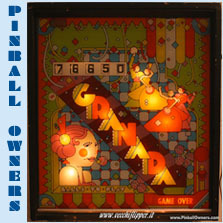 It is not physically very challenging but it is dangerous in certain spots. We did this walk at the end of october. It’s very nice, a little bit challenging. For us it didn’t feel dangerous at all, only adventurous (we aren’t rock climbers but hikers with experience). The path from Faro to Monte Cucuzzo and Monte Solare is beautiful too and you won’t meet much people. We started from Anacapri to Grotta Azura, path along the Fortini (reverse from what Jörn did) and than up. Thanks for your description! We hiked up there today-what an amazing view! We continued to monte solaro and as it was so wonderful we added the costal path along the Fortini till the end at the blue grotte. It took us about 7 hours including a longer break after reaching the top of Faragliono. Amazing! Thank you Jörn. I really appreciate your feedback! Yes, I have to describe the Fortini path … it’s really beautiful and I got a lot of pictures. I can also suggest you to take a walk on the path that goes from Piazzetta delle Noci down to the Matermania path! An amazing view of the Faraglioni stacks. To reach Piazzetta delle Noci, take the small road on the right side of via Dentecala (the small road that goes to the Natural Arc). And don’t forget to stop for a break at the restaurant “Da Tonino”. Ask the waiter (the tall one with “British humor”) to show you the incredible wine cellar!